The articles in this volume complement and continue work brought together on the author's previous collection, God's Decree and Man's Destiny. The first part, focusing on Augustine, is largely devoted to the Pelagian controversy, but also includes an examination of Augustine's concept of deification and other aspects of his theology. 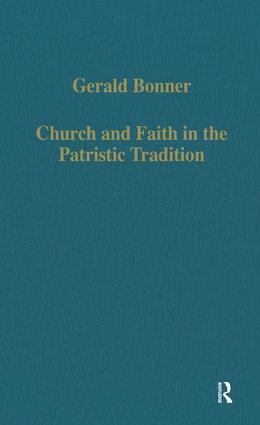 The following essays deal with early Christianity in Britain, and in particular with the work of St Cuthbert and Bede, and the patristic traditions on which they drew, while the final ones present reflections on the history of the Church in Late Antiquity. Contents: Augustine's conception of deification; The doctrine of sacrifice: Augustine and the Latin Patristic tradition; How Pelagian was Pelagius? An examination of the contentions of Torgny Bohlin; The significance of Augustine's De Gratia Novi Testamenti; Pelagianism reconsidered; Pelagianism and Augustine; Augustine and Pelagianism; Review: 'Working the Earth of the Heart'. The Messalian controversy in history, texts and language to AD 431; Saint Cuthbert - soul friend; The Christian life in the thought of the Venerable Bede; Bede and medieval civilization; Saint Bede in the tradition of western Apocalyptic commentary; Review: Bede's Ecclesiastical History of the English People, a historical commentary; Bede and his legacy; Anglo-Saxon culture and spirituality; Schism and church unity; The extinction of Paganism and the church historian; Review: The End of Ancient Christianity; Christianity and the modern world-view; Index.